NBA 2K Playgrounds 2 is set to launch on October 16th, but if you’re in North America, you might be able to get an early hands-on look at the game. Saber Interactive and 2K Sports will be launching a Closed Beta test that tips off this Friday, September 28th, and runs through Sunday, September 30th. In addition to only being available to users in North America, the only platforms involved in the Closed Beta are PlayStation 4 and Xbox One. 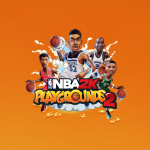 NBA 2K Playgrounds 2 will of course also be available on PC and Switch, but they won’t be involved in this beta testing. Participants will take part in the new Championship mode, and be able to play on all ten of the new playgrounds that are featured in the game. Please note that there are limited spots available, so signing up won’t guarantee a place in the Closed Beta. For your chance to take part, register here over on the official website as soon as possible.